This shear features an offset handle designed to open the hand. This style gives you a more relaxed position when working on a haircut. Anti-push edges are expertly honed for superior hair cutting performance. Medium sized finger holes and medium weight make this hair shear comfortable for stylist with medium to larger hands. 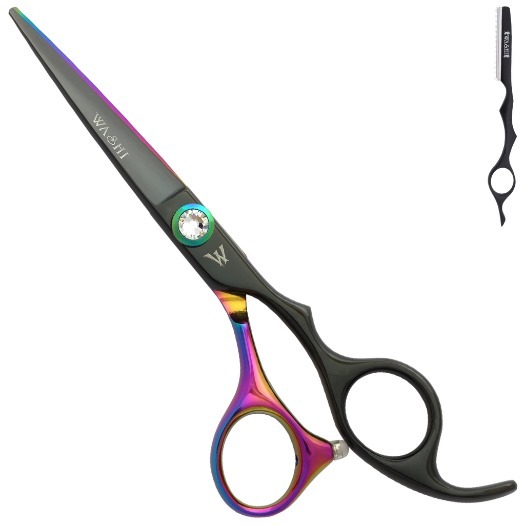 Shear Size: 5.5", or 6.0"